Earth came up pretty early in the universal scheme of things. According to a new study, when our planet formed, 4.6 billion years ago, the Universe was still pretty young, and only eight percent of the potentially habitable planets that will ever form existed. The bulk of those planets, the remaining 92%, are yet to be born. An artist’s impression of innumerable Earth-like planets that have yet to be born over the next trillion years in the evolving universe. Image credits: NASA, ESA, and G. Bacon (STScI). This quite innovative study was based on data collected by Hubble and the Kepler telescope. Peter Behroozi, who was the study author and works at the Space Telescope Science Institute (STScI) in Baltimore said they wanted to see where Earth fits in the world’s history; are we among the forefathers, or are we the late bloomers? Astronomers basically tried to make a “family album” of early galaxies, in order to see how they emerged and developed. According to their calculations, in the early Universe, stars were forming quite fast 10 billion years ago, but there was little hydrogen and helium involved. Today, star birth is happening at a much slower rate, but there is so much leftover gas from previous processes, that stars (and subsequently, planets), will be forming for a long time. “There is enough remaining material [after the big bang] to produce even more planets in the future, in the Milky Way and beyond,” added co-investigator Molly Peeples of STScI. Scientists predict that there are, in total, 1 billion Earth-sized worlds in the Milky Way galaxy at present, a good portion of them presumed to be rocky. If you multiply that by the over 100 billion galaxies in the observable universe, the numbers get really big – but still, proportionally speaking, very few planets are Earth-like. 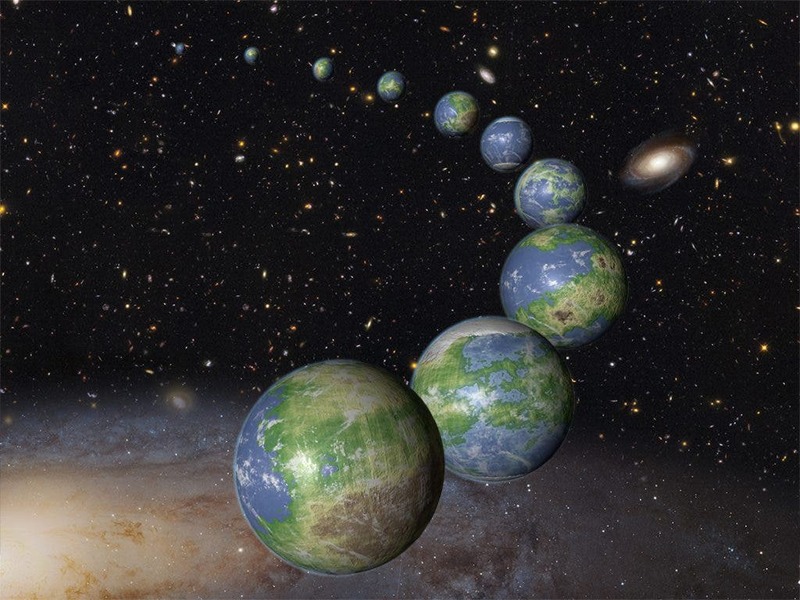 This study would indicate that few Earth-like planets exist, because most of them haven’t formed yet. The results will appear in the October 20 Monthly Notices of the Royal Astronomical Society.